When Central Texas WSC started up its 4 MGD Doc L. Curb water treatment plant, these two 4 MGD raw water pumps located on the BRA/Central Texas WSC fixed intake structure at the lower end of Lake Stillhouse Hollow in deep pristine water supplied raw water through Central Texas WSC’s existing 30” raw water line to the new plant. The 200 HP, 4,160 volt, 3 phase motors are premium efficiency rated. 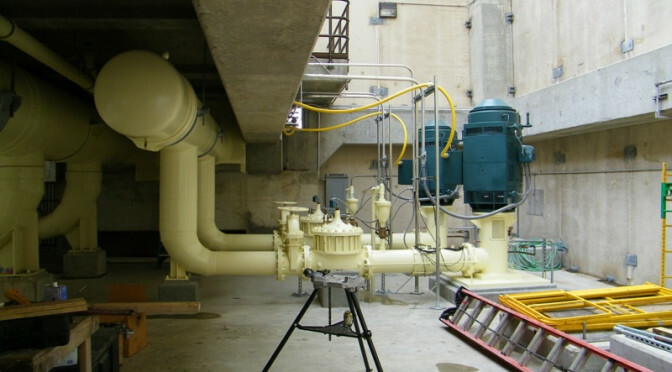 The control building and two raw water pumps were installed at a cost of $2,451,692.